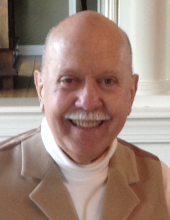 Jorge J. Martinez, 79, of Bridgewater, NJ, passed away peacefully on Wednesday, March 13, 2019 at his home. A celebration of life services will be held on Saturday, April 6th at 11:00am at Holy Trinity R.C. Church, 60 Maple Street, Bridgewater, New Jersey 08807. In lieu of flowers, donations may be made to Mended Hearts of Morris County, care of Mr. Victor Fabry, 61 Meadow Brook Road, Short Hills, NJ 07078. Jorge was born on October 20, 1939 in Havana, Cuba to Julian & Juana Martinez. He immigrated to the USA and eventually settled in Bridgewater, NJ, where he resided for most of his life. He received his Bachelor’s degree from Rutgers and a Master’s degree from Seton Hall University. He worked as an accountant for various companies. He continued his love of learning as an Adjunct Professor at Raritan Valley Community College for several years. Jorge was an active communicant at Holy Trinity R.C. Church in Bridgewater, NJ. Jorge dearly loved his family and cherished his time with them. He enjoyed gardening, traveling, especially cruising on the Queen Mary, making new friends everywhere he went, and always enjoyed a good conversation. He was known for his great sense of style. His presence would light up any room he entered. His kind heart will be forever missed by all who knew and loved him. Surviving are his dearest wife of 55 years, Dolores Elmo Martinez; two beloved daughters, Christina and her husband David Yazujian of Sergeantsville, NJ, and Amy and her husband Brian Roman of Kingwood, NJ; and five treasured grandchildren, Lauren, Morgan, and Jared Yazujian, and Matthew and Kevin Roman. To send flowers or a remembrance gift to the family of Jorge J Martinez, please visit our Tribute Store. "Email Address" would like to share the life celebration of Jorge J Martinez. Click on the "link" to go to share a favorite memory or leave a condolence message for the family.